CINCINNATI -- A large section of the hillside above a major East End road is slipping so fast that emergency repairs will begin next week. A large retaining wall is being built to protect water, sewer and other utility lines under Riverside Drive between Vance and Hazen streets, where the hillside has been slipping at a rate of several inches a month. Lew Seiler's Victorian-style home has already been hit hard by the slide. The plaster in the living room is badly cracked, there's a separation between walls in the kitchen and new drywall is pulling apart because the house is shifting so quickly. "It's frightening, to be honest with you," Seiler said. "It's frightening and scary." Outside, stones have shifted in the foundation. The sidewalk is buckled. The rear wall has been torqued to much, it’s no longer straight. "Every day, you see changes and they're not good," Seiler said. "You can hear pops and you can hear noises as the hill causes the house to shift and move." The Brew River Gastropub is a popular East End destination for dinner or drinks. But damage is starting to show on the front steps and even the foundation because of hillside slippage. "It's pretty bad," Michael Shields of Brew River said. "Our patio is buckling left and right, which is not typical from last year. We had a few tiles that popped up, but nothing like this year." The city has been monitoring the area for years, noting slippages of a tenth-of-an-inch a year. But that's changed, according to city engineer Don Gindling. 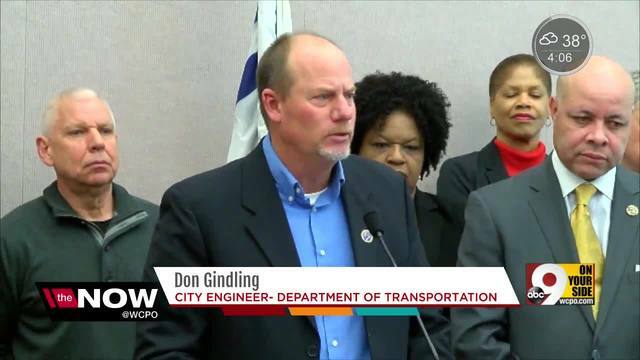 "Between November and January we noticed considerable acceleration of movement, so instead of a tenth-of-an-inch a year, we're now looking at several inches per month, so the movement is very accelerated," Gindling said. That's why city leaders gathered to announce construction of a 1,200-foot retaining wall 20 feet below railroad tracks running through the area. 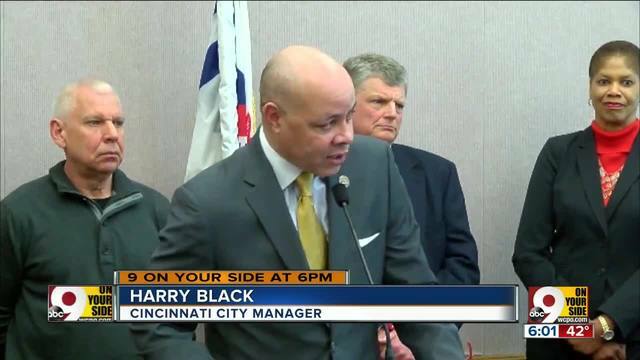 City Manager Harry Black estimated the cost at between $5-10 million. "Without intervention, critical water and sewer infrastructure might be in jeopardy," Black said. "There are lines in this area which serve large portions of Downtown and surrounding neighborhoods." Black added that nobody is 100 percent sure what caused the slippage and nobody is sure this will permanently fix the problem. The plans put the wall right behind the Brew River Gastropub's outdoor patio. "Hopefully it will fix the problem and not stifle the growth of our neighborhood," Shields said. "I said, 'the more the merrier.' We keep on building the entertainment district and get more people to come down to the East End."